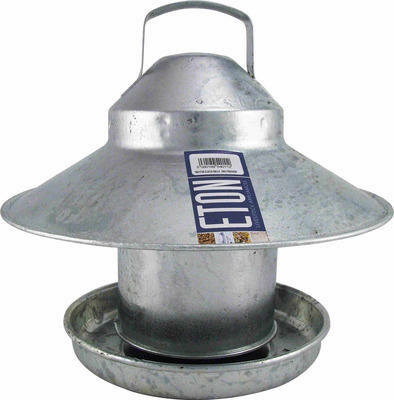 The Tusk Galvanised Outdoor Bird Feeder allows you to provide poultry with a constant supply of food. The round shape enables several birds to feed at once (up to 12 hens) easily. The feeder is covered, to ensure that food or water does not become polluted by rain water.